PORTAGEVILLE, Mo. — Portageville residents soundly defeated a proposed local use tax. There were 339 no votes to 150 yes votes. In the race to serve as Portageville’s mayor Floyd Simmons was the winner with 265 votes over 243 votes for Denis McCrate. The race for Ward 1 alderman was won by Lynn Doering, who earned 92 votes to defeat John Dubois, who had 86 votes. In the Ward 2 alderman race, Ray Staffey had 119 votes, losing to Neil Essary, who garnered 201 votes. Unopposed on the ballot was City Collector Michele Crawford, who received 407 votes. New Madrid County voters overwhelmingly backed renewing a half-cent sales tax to fund transportation and other improvements in the county. Just over 75 percent of those casting ballots in Tuesday’s election voted yes. 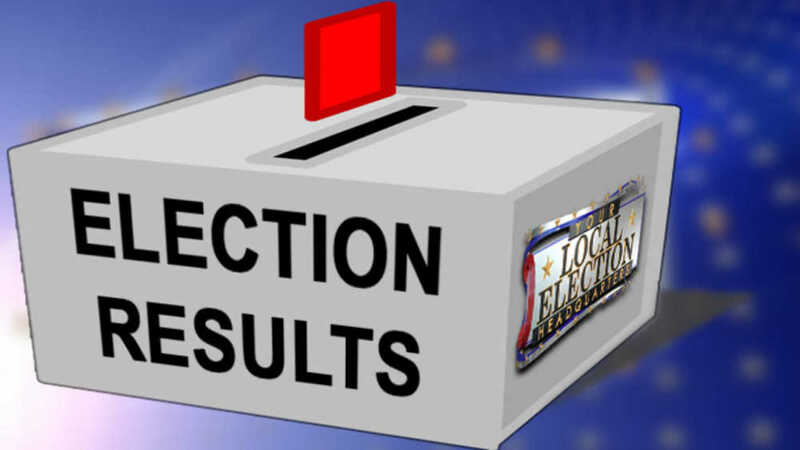 According to the unofficial totals provided by the office of New Madrid County Clerk Clement Cravens, 1,589 voters favored the sales tax while 509 cast no votes. The money from the tax is used to fund the county’s highway department and as part of the sales tax’s approval, the the road and bridge property tax rate is reduced 50 percent. Just over 20 percent of the county’s 10,457 voters went to the polls Tuesday. Cravens described election day as very quiet and noted very few problems arose at the county’s polling places. In addition to the county sales tax issue, the New Madrid County R-1 School Board race also drew interest. Voters returned incumbent board members Ryan Eddy and Jennifer Cope to the board with Eddy polling 799 votes followed by 749 votes for Cope. Challenger Dustin Redden garnered 567 votes. It was a one vote difference for the winner of the Canalou Ward 1 alderman race with 6 votes cast for Donald Cook and 5 votes for Brad Heckler. In Canalou’s Ward 2, John W. Slayton was unopposed and had 13 votes. While there were three openings on the Catron Board of Trustees, there were only two names on the ballot. Carol M. Givens and Nicholas Walker each had 7 votes. There was 1 write-in vote for Jay Walker and 1 write-in vote for J. Keith Kennedy. The two candidates on the ballot for the Gideon Board of Alderman were unopposed. George Keith Prewett was elected North Ward alderman with 4 votes while Mark A. DePriest, who received 12 votes, will serve as the South Ward alderman. In Howardville, Ward 1 residents elected Timothy Fields as their representative on the Board of Alderman with Fields earning 28 votes and challenger Jimmy Daniel having 8 votes. Veronica Hamilton was unopposed as alderman from Ward 2 and had 15 votes. Lilbourn voters in Ward 1 selected Ronnie Ivie over Larry Long in a close race. Ivie totaled 41 votes while there were 37 votes cast for Long. In Ward 2, the voters selected Michael Henry, with 39 votes, and 18 votes for challenger Richard Kolwyck. Marston voters in Ward 1 gave the nod to Kim Reno to represent them on the board. Reno tallied 65 votes to defeat John “Jack” Brewer II, who had 2 votes, and Katty Arnold, who had 28 votes. In the Marston South Ward 2, Gary Brown, with 21 votes, lost to Wayne Ruby, who had 31 votes. Daniel Adams was elected mayor of Matthews defeating Keith Duke 85 to 67. In Ward 2, the voters picked Sheena L. Hart over Rick Houston for alderman by a vote of 77 to 35. Tim Jordan, who ran without opposition, received 39 votes to serve as Matthews Ward 1 alderman. Longtime Morehouse mayor Pete Leija was re-elected with 121 votes over 81 votes for his challenger Joe Brashears. Ward 1 voters picked Chris Hensley with 84 votes over Mike Brashears who polled 50 votes. Morehouse Ward 2 voters went with Carl Casey, who had 39 votes to defeat challenger Jonathan Hays, who received 29 votes. Unopposed on the Morehouse ballot were City Marshal Jackie Hays Jr. who had 161 votes and City Collector Judy Gosnell-Greene, who had 162 votes. The three incumbents on the New Madrid’s Board of Aldermen will stay in office. Ward 1 alderman Jim Cravens outdistanced challenger Tommy Hunter by a vote of 83 to 24; Ward 2 alderman Nick White defeated Jonathon Riggs with White polling 145 votes over 47 for Riggs; and Ward 3 alderman Mark Wade had 116 votes over 59 for challenger Peter Rost Jr. The residents of North Lilbourn approved three propositions on the ballot with each receiving 5 yes votes and no opposing votes cast. Voters OK’d a half-cent economic development sales tax which would provide funding for acquiring land and installing infrastructure; a 1/4 cent sales tax to fund fire protection; and a 5 percent telephone utility tax. Bertha Moore, Robert E. Robinson and John R. Hughes each received 5 votes to be elected to the North Lilbourn Board of Trustees. Incumbent Parma mayor Tyus Byrd was defeated by challenger Rufus Lee Williamson Jr. with Williamson polling 115 votes to 56 votes for Byrd. In Ward 2, Allen Hampton had 69 votes to win the job of alderman, defeating Lillie Cox who had 53 votes. In Ward 1, Carolyn Powers was unopposed to serve on the board and had 43 votes. There were two write-in votes to fill the position of West Ward alderman in Risco since no one filed for the office and both votes were cast for Brian Bean. In the East Ward, Shawn Fourthman was the sole name on the ballot and he received 14 votes. Sikeston residents residing in New Madrid County cast 28 votes for Ryan Merideth, who was unopposed for a three-year term as at-large alderman on the Sikeston City Council. In Ward 4, Onethia T. Williams, also was unopposed to serve as councilman, and received 4 votes in New Madrid County. Tallapoosa residents in the community’s North Ward wrote in their choice for alderman with two votes cast for Jacob Clark and two votes cast for Jack Clark. In the South Ward, Jonnie Nelson was the only name on the ballot and he received 5 votes. Although a portion of New Madrid County is in the East Prairie School District, there were no votes cast for the openings on the board of directors or the school district’s Proposition No. 2.